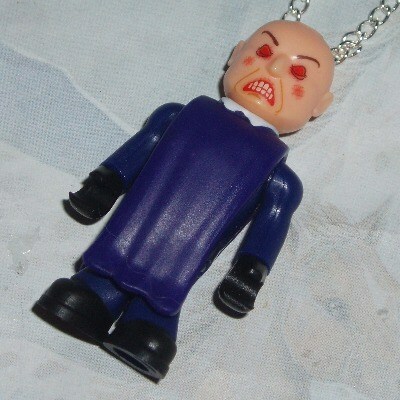 Dr Who Smiler with an Angry Face Figure Pendant necklace. This is a Character Builder Figure pendant necklace of a Smiler with an Angry Face from Dr Who. Choose your chain length. Wax cord option also available. I use new and re-cycled figures.